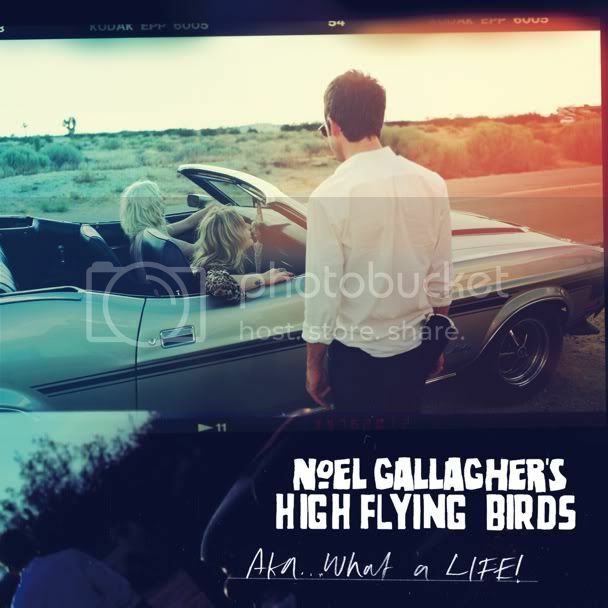 Noel Gallagher Streams Second Single "AKA...What A Life"
Noel Gallagher has revealed "AKA...What A Life!" will be the second single from his solo debut High Flying Birds, following on the heels of "The Death Of You And Me." The album won't be released until in October in the UK and November in the US but we've already gotten to hear three album tracks and one B-side! "The Death Of You And Me" was released with the B-side "The Good Rebel" as a commercial single. Gallagher released a video for "Death" and allowed fans to stream the B-side as well as another album track, "If I Had A Gun," via radio station KROQ. Now we have "AKA...What A Life," which Gallagher is streaming through YouTube. The single will be available digitially on September 11 and the CD and 7" vinyl will be available October 17 through his web site. A video is planned for the single and NME reports the B-side for this single is called "Let The Lord Shine A Light On Me." I've pre-ordered the CD and I'm not 100 percent sure I won't pay the couple bucks to have the digital single this weekend if it goes on sale in the US as well as the UK. It's not easy being a Gallagher fan in the US right now; it seems we're going to get everything just a little later than our UK friends. It's likely because he's not signed to a major corporate label and I don't blame him but I might have mentioned how excited I am about this record and I'm not good at waiting.